The most commonly found species of armadillo in Texas is the North American nine-banded armadillo. While the other 20 species of this particular mammal are secluded to South and Central America, the nine-banded armadillo has migrated far beyond the Rio Grande and can now be found living as far east as Florida. 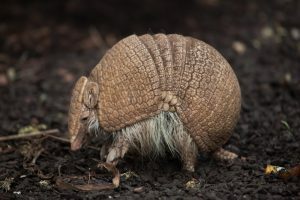 Growing to the size of a small dog, the nine-banded armadillo have large claws that help them dig and borough into the ground to nest and find grubs, their main food source. In spring, these armadillos give birth to four identical pups in each litter. Largely nocturnal, the nine-banded armadillo has weaker vision during the day. They can also be susceptible to drought and cold and therefore cannot live full-time in any northern states because of the freezing temperatures. Armadillos have become very popular in Texas for more than a century now. Late 1800s – From baskets to lamps and various other souvenir trinkets that were made from their shells, armadillos became quite favorable to hunt in Texas. 1970s – Although armadillo racing events became popular in San Angelo, Texas, the state legislature voted against petitions to make armadillos the official state mammal. 1981 – The armadillo was declared the official state mascot by executive decree. Despite their popularity and docile nature, armadillos should not be played with in the wild. Armadillos are known for carrying Hansen’s Disease — more commonly known as leprosy — and have transmitted it to people in Texas and Florida. Armadillos can also carry rabies, salmonella, and tapeworms. Because of these diseases, it’s best to let professionals remove them from your property. If you have an armadillo problem, the pest and wildlife professionals at Critter Control® of Ft. Worth are knowledgeable and experienced in armadillo control and can create a plan for removal that will work for you. Give us a call today for a fast estimate and consultation at 469-805-6267. Rats and mice are one in the same for many people. And though the two types of rodents share some similar characteristics, they each have their own unique features that set them apart from each other. 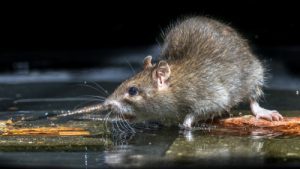 While having either rodent in your home is never something you’d welcome, it helps to know exactly the type of critter you’ve got on your hands. These are some of the primary differences between rats and mice. Rats are larger than mice, and can grow up to nine inches long. They typically have thicker coats than mice and are black, gray, or brown in color. Rats are more closely associated with disease and filth than mice, partially because of their greasy look, larger size, and unsightly tails. They breed less often, but their litters are twice the size of mice litters. Rats tend to be more cautious than mice, lending to their ability to avoid traps. As opposed to rats, mice are on the smaller end of the spectrum, with large ears and long, thin tails. Mice are gentler in nature than rats, and some people even keep them as pets because of their social nature. They may seem adorable, but they can still be very destructive to your home. They often contaminate food, chew on nearly anything in sight, and can birth up to eight litters of babies annually. In addition to reproducing alarmingly quickly, rats and mice are both nocturnal and have a propensity for chewing on things. Rats and mice both have constantly-growing teeth that need to be dulled, so they chew on anything they can to keep them in check. 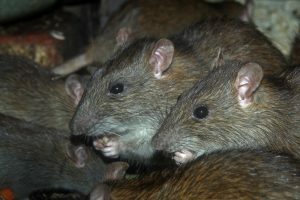 If you suspect rats or mice have taken up residence in your home, the team of professionals here at Critter Control® of Fort Worth can help. Our licensed experts have the tools and training necessary to resolve your rat or mice issues quickly and permanently. Call us today at 913-791-2534 for more information, or to schedule a consultation and free estimate. Does Homeowners Insurance Cover Attic Rodent Damage? Your home is your safe place — where you’re supposed to be able to go at the end of the day to rest and recharge your batteries; which is the last place you want to run into wild rodents or the damage they can cause. There are few things more unnerving than seeing or hearing rodents in your home — especially as they scurry around the attic above your head. Once an infestation becomes apparent, it can be hard to focus on anything else until it’s taken care of. Aside from being an annoyance, rodents can cause all sorts of issues in the attic of a house, from smells and damage caused by piles of droppings, to structural damage, and even damage to electrical systems. Most homeowners insurance policies do not cover rodent damage or removal. Infestations and the resulting damage are typically categorized as home maintenance issues, leaving the homeowner responsible for any expenses associated with removal or repair. If any damage caused by a rodent infestation leads to other damage — such as chewed-up wiring short-circuiting and leading to a fire — your homeowners insurance may kick-in to pay for those damages. There are always exceptions, so be sure to speak with your homeowners insurance provider about the specific types of coverage your policy provides. When you have rodents in your attic, calling for professional help is always the most effective option. The team of technicians here at Critter Control® of Fort Worth is equipped to handle any rodent infestation. This allows us to keep you and your family from being exposed to any potential health hazards, and our experienced staff can have your home looking and feeling like new in no time. For more information about our rodent removal services, contact us today at 469-805-6267. Mice, rats, and squirrels are common rodents that don’t belong in your home but may end up there anyway if you don’t take sufficient precautions. Contrary to what many people may believe – these vermin will invade clean homes. When they’re looking for food and shelter, they don’t discriminate. Preventative measures are the smart option in dealing with rodents. Keep them from getting in, and you’ve dealt with the issue before it even becomes a problem. Here are some effective measures for rodent control. Ensure your property isn’t a haven for rodents. Remove clutter from your yard. Don’t forget to check under your porch or deck. Take care of weeds and other plant growth that may offer rodents desirable hiding or nesting spots. 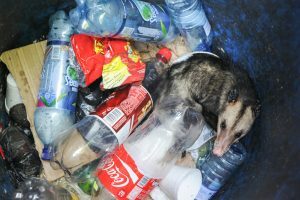 Don’t put your trash out until collection day or the night before, and when you do, be sure to use heavy-lidded plastic or metal trash cans that minimize access. These critters are canny, and they can enter your home through a variety of means. Mice are especially good at this. Since they have no collarbones, they can squeeze through the tiniest of openings. In older homes, it may be nearly impossible to find and seal every vulnerable spot, but you can still minimize the potential problem. Walk around your home inside and out looking for any vulnerabilities. Seal openings with foam or mesh and add door trim and metal weather stripping for top-notch rodent-proofing. 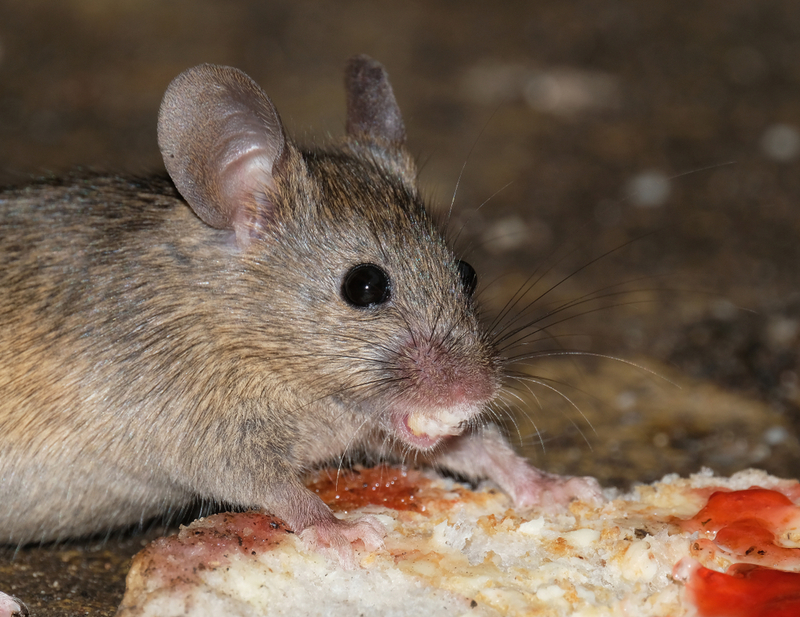 Plus, keep in mind, while having a rodent problem doesn’t mean you keep a messy home, leaving food out can be enticing. Clean it up and store human and pet food in glass, metal or hard plastic containers. What if They’re Already Here? If rodents have already invaded your home, consider calling in pros rather than attempting to take care of the infestation on your own. At Critter Control® of Ft. Worth, our team of wildlife removal experts is fully licensed in Texas. We know rodent habits, tendencies, and preferred habitats. Our technicians are skilled and experienced in removal and control measures. We even provide attic and crawl space restoration services to repair the damage these critters can do. Call on us at 469-805-6267 to take care of your rodent problem quickly and efficiently. While birds and butterflies can be enjoyable to watch in your yard and that occasional squirrel can be adorable, you don’t want to have wild (and perhaps diseased) wild animals like raccoons, opossums, bats and an overabundance of squirrels set up residence in your yard. However, some of the things you put in your yard can be inadvertently encouraging wild animals to frequent your property. Bowls of pet food. Putting dry food out for stray cats can be an open invitation to wild animals, like skunks, raccoons and opossums. Better to just feed such cats when you see them and take the food back in when the cats leave. Water features. Water is another big draw for wild animals. Birdbaths, fountains and ponds could also be attracting unwanted wildlife. Fruit trees. It’s a rare homeowner that can keep up with the fruit from pear, apple or peach trees when that fruit starts to ripen. Fruit on the ground and on low branches can be another big enticement for wild animals. That compost pile. While compost can be beneficial to your garden, rotting produce and other composting elements can seem like a banquet to wild animals. Better to use a tumbler or other closed container for your compost. Bird feeders. Bird seed is also enticing to wild life, especially those like squirrels that can climb the posts and easily get to the food. If you find that you have wild animals living in your yard, you don’t want to try to get try of them on your own. This is a job best left to the professionals. Critter Control® of Fort Worth, Texas has been helping homeowners just like you get rid of unwanted animals that can threaten pets and tear up your yard for more than 30 years. Call us at 469-805-6267 to schedule a free consultation. The presence of an unwelcome pest in your home can elicit a range of emotional responses anywhere from mildly annoyed to terrified. And while wild animals such as rats scurrying across your attic can indeed be a nuisance, you may just want them out and not necessarily dead. Fortunately, there are humane rat removal methods that can give you the best of both worlds. Physical removal– Rats should not be handled without the proper equipment or experience. Personally attempting to remove rats can result in serious harm to you and the animal. Rat traps– Rats are cautious and intelligent creatures that can quickly learn how to avoid and navigate around traps. Rat poison– Store-bought chemicals and poisons are often overkill for a rat infestation. They can also be powerfully toxic and harmful to pets and children. There are a few humane methods on the market that claim to repel rats. However, alternative methods such as ultrasonic devices and non-toxic sprays that contain a mixture of natural oils and scents only offer temporary relief and are ultimately ineffective at providing a permanent solution to a rat infestation. At Critter Control® of Fort Worth, we are determined to limit damage to all parties involved: you, the animal, and your property. That’s why we endorse CritterSafe removal practices — the most humane, safe, and eco-friendly rat removal methods possible. Once all the rats are removed from your property, our experienced technicians will repair any damage they caused and seal off access points with one-way doors to keep them from returning. At Critter Control® of Fort Worth, extermination is our last resort. If you suspect you have a rat infestation in your home or around your property, our expert technicians will use humane measures to solve your rat problem permanently. To get a free estimate, or for more information regarding our pest control services, please call us today at 469-805-6267. Thanks to the strong work ethics of bees, we get to enjoy lots of things that wouldn’t exist if it weren’t for them. Honeybees and other pollinators like certain birds, bats, and insects play a vital role in flowering plant reproduction as well as the production of many fruits and vegetables. So, while your first instinct may be to knock a hive down you see on your property, we recommend calling us to remove it. 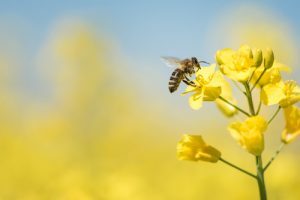 Bee populations are in steady decline, and should we lose bees, we will also lose some of our favorite foods such as apples, blueberries, cherries, squash, almonds, chocolate, and coffee. Keep reading to learn about why bees are such amazing creatures. Pollination – Bees intentionally collect and move the pollen from one species of flower to another species. The transfer of pollen is especially crucial for flowers that rely solely on animals or insects to move the pollen from the male part of the flower (anther) to the female part (stigma). Without plant reproduction, we would lose nearly one-third of our staples we’ve depended on for so long. Wildlife – Not only do farm-grown fruits and vegetables rely on pollination, but so do many wild plant species. Bees are also responsible for the nuts, seeds, berries, and fruits that grow in the wild, which are a significant food source for a lot of different wildlife. Food Source – Humans aren’t the only ones who love the sweet taste of honey. During the cold winter months, bees feed on it when they are unable to forage. Other species like birds, raccoons, opossums, and insects also ransack beehives to eat both the honey and bee larvae. Bees themselves also make a tasty treat for some birds, spiders, and insects like dragonflies and praying mantises. Habitat – Because bees pollinate plants, forests and woodlands are able to thrive, giving homes and providing food to many wild animals from birds and squirrels to raccoons and insects. If specific plants were to disappear, then eventually so would the wildlife that depends on them for nourishment and shelter. Biodiversity – Bees contribute to every aspect of our planet’s complex ecosystem, allowing many plant and animal species to co-exist. As you can see, without the help of bees, our world would be a much different place. And, while we recognize the importance of these buzzing insects, we also understand our customer’s concerns when having to deal with bees near their home or on their property. If you have issues with bees, rely on the professional removal services provided by Critter Control® of Fort Worth. For more information, or to schedule your consultation, call us today at 469-805-6267. Are You Inviting Snakes into Your Yard? There are 68 species of snakes in Texas. However, that doesn’t have to mean that you and your family have to share your home with these slithering copperheads, rattlers and common garden snakes. While the majority of Texas snakes are harmless, it still can be startling to come across one under a rock or curled up in your bathroom. Cluttering up your yard. Snakes love to live underneath things. If your yard looks more like a scrap yard than a park, you’re providing a welcoming haven for snakes. Planting a lot of low-growing shrubs and plants. Again, snakes like to hide and stay cool during the mid-day Texas heat. Low-growing plants provide welcome shelter. Forgetting to patch those holes. Holes in your home or garage’s foundation makes it easy for snakes to come and go easily. Watering your lawn too often. Snakes also like water and how cool the grass feels when it’s been freshly watered. Watering your lawn frequently is an invitation to snakes. Snakeskins. If you see snake skins, this is a sign that you have at least one snake that has just left hibernation. It’s time to call a pest control company. Curly-looking trails in the dirt outside your home. Another sure sign that snakes are living on your property is seeing winding trails in the dirt around your home. You spot a nest. 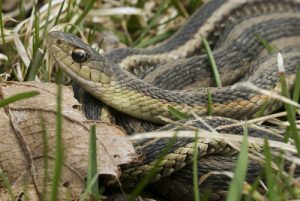 Snakes generally make a nest during the late summer or early fall. It’s not a good idea to remove the nest yourself. This is best left to a professional. Getting rid of the snakes in your home and property is not a good DIY project and requires special training and equipment. To best tackle your snake problem, contact Critter Control of Fort Worth. We’ve been helping Texas homeowners like you with their animal and insect problems for more than 30 years. Fireplaces are fantastic assets to have in your home, especially here in the Fort Worth area where the winters can get pretty chilly. One of the major downsides though is that it gives nuisance animals like birds, squirrels, or raccoons easy access to your home. When an animal enters your home, the damage that can result is often expensive and can even pose health risks to you and your loved ones. There’s no need to get rid of your fireplace if nuisance animals threaten to enter. Instead, a metal chimney cap custom made to fit your chimney can help keep the critters out, while allowing you to enjoy a warm fire during those cold winter months. 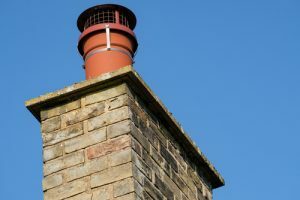 A chimney cap is a specially made cover for the outside opening of a chimney that prevents animals from gaining access to your home by crawling down your chimney and into your fireplace. The cover uses a wire mesh that allows smoke and heat from a fire to escape while keeping out animals and moisture at the same time. Our chimney caps are always custom fitted to your chimney to ensure maximum effectiveness. Reducing Debris: With an uncovered opening, your chimney is susceptible to falling leaves or branches. A metal covering helps reduce the amount of debris entering your chimney, reducing fire risks as well. Reducing Moisture Intrusion: Without a cap, rain or snow can easily enter your chimney, potentially damaging the inner lining or creating mold and mildew problems. Blocking Downdrafts: With no chimney cap, wind can blow down through the top of the chimney and potentially blow smoke into your home. If animal or weather intrusion into your chimney is a worry for your home, the wildlife control specialists at Critter Control® of Fort Worth can help. Our custom chimney caps will protect your home from nuisance animal activity and weather damage. Call us today at 469.805.6267 to schedule your complimentary consultation. The logical first step when looking for safer animal deterrents is to replace chemical-based options like poisons with traps. This is a step in the right direction, but a trap can be just as dangerous to a pet as it is to what you are trying to catch. To reduce that risk, look for traps that are designed to catch only specific types of animals. For example, a traditional spring trap is great for mice, but it can also be dangerous for cats or small dogs. A vault trap is a safer alternative. Another way to prevent pets from messing with the pest deterrents is to put them somewhere out of reach or hidden away. While it doesn’t completely guarantee a curious pet won’t stumble across it, it helps significantly. 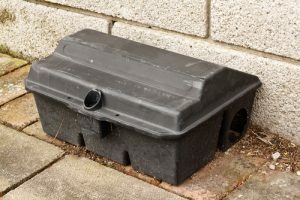 You can even place a box over the trap with a hole cut out for the nuisance animal to get through. This is especially useful for traps kept outside. A common bait for rodent traps is peanut butter. While this does a great job at attracting the mice and rats, pets also love it. Do some research to find out what the animal you are trying to trap is attracted to and what your pets are attracted to, and choose something that won’t pique your pet’s interest but will draw in the nuisance animal. The most common question we get about pest deterrents is whether or not they are safe to use around pets. 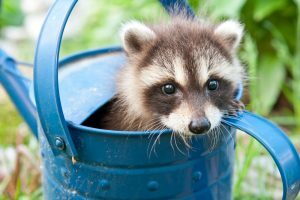 When you’re unsure, the best option is to enlist the help of an animal control professional to remove any nuisance animals from your property for you. For questions about our residential and commercial animal removal services, or to schedule a consultation, contact us today at 469.805.6267.